YouDupe - Mark YouTube videos as duplicate. 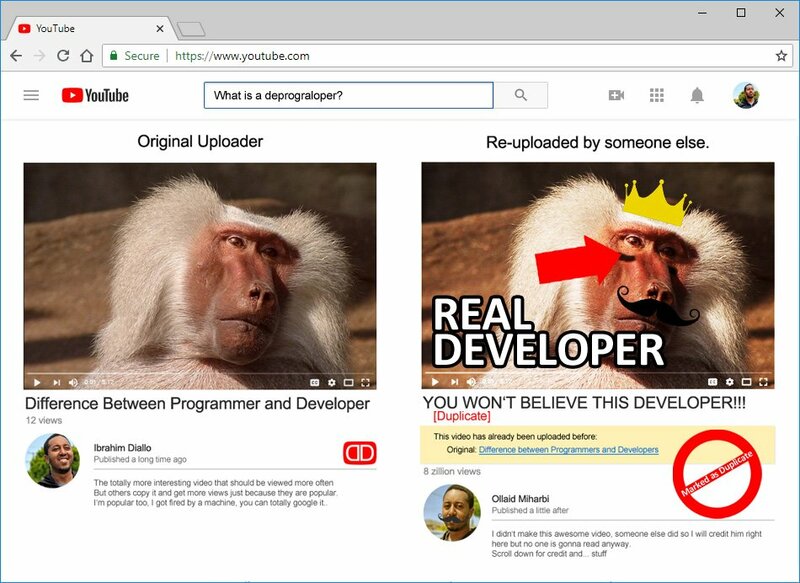 The YouDupe browser extension identifies re-uploaded videos and marked them as duplicate. YouDupe will update click bait titles to something that reflects the content of the video. YouDupe works because of you. You can mark any video as duplicate and help the community. Watch YouTube videos directly from the original uploader at the highest quality.